Thank you Father Duffell for a beautiful homily as always and lunch at my pop’s restaurant. she’s an agent of the devil. dont be fooled!! I don’t think that the so called Lady Gaga is going through something. She strikes me as wanting to shock people with the way she dresses and etc. Looks like her parents must have had trouble with her growing up. The message, again and again, from people reacting to the sight of her with the Rosary and the priest is that she is an enemy virus, a thing to be expelled and rejected, not somebody who might be imperfectly seeking Christ, a wounded fellow sinner, somebody in confusion or pain or need who might be doing her best to seek Christ under God knows what circumstances or bad catechesis, or suffering, or so on. With that goes the assumption that the Church is not primarily ordered toward evangelization of those in the highways and byways seeking salvation–those who are both spiritually and materially the poor, the crippled, the blind, and the lame–but rather a Fortress whose mission is to drive away the impure, to pour boiling oil on the enemies at the gate, to root out from among us the Fifth Columnists, the spies, saboteurs and outsiders, to destroy all who do not belong to the Club of the Perfecti. John said to him, “Teacher, we saw a man casting out demons in your name, and we forbade him, because he was not following us.” But Jesus said, “Do not forbid him; for no one who does a mighty work in my name will be able soon after to speak evil of me. For he that is not against us is for us. (Mk 9:38–40). This is the flip side of another saying of Jesus: “Whoever is not with me is against me” (Matthew 12:30). 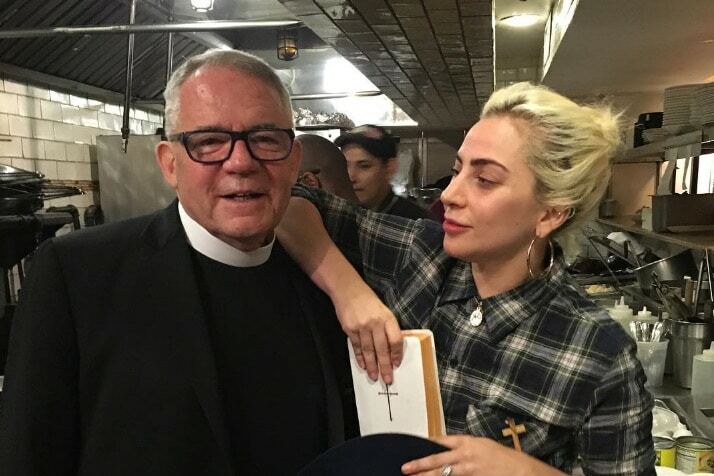 Both are essential, but the people ready to heap rejection on Lady Gaga’s prayers tend to only think in terms of Matthew 12:30 and to treat “he that is not against us is for us” as wooly Kumbayah Catholicism. It is not. It is, in fact, a crucial point that any sensible teacher or parent relies on every day. It is the recognition that learners cannot be treated as though they are enemies, rebels or fools merely because they cannot yet understand or do what experts do, nor can people who have not yet established even an elementary level of trust be expected to perform prodigies of faith. And the surest way to make sure that those with budding and barely germinated faith have their faith (and their souls) ground into the dirt and killed forever is to treat their hesitant small acts of faith with contempt, call them liars, and exclude them from Christ for it. Take the exorcist in the gospel. “He was not following us” means that exorcist was, like countless people at that time, somebody who had heard of Jesus and perhaps had seen him preach or teach or work a sign, but who was not associated with the gaggle of followers, disciples, and apostles who were in Jesus’ company. He appears to have picked up on Jesus’ works of demonic deliverance and gotten wind of his promises that demons could be cast out in his Name. And he appears to have successfully acted on that promise. But he was not part of the Club in the minds of the apostles. He was violating copyright, treading on their turf, threatening the monopoly of access they thought they had. So instead of welcoming him, they tried to shut him down and (just as important) shut him out. Jesus would have none of it. The exorcist was somebody trying to follow him in sincerity, albeit imperfectly. Yeah, he didn’t seem to get that stuff about Peter being the rock the Church was built on and he didn’t seem to know about Jesus giving the apostles twelve thrones or the whole “He who listens to you listens to me” business. He was outside the chain of command. But he meant well and was doing his best according to the light he had. So why shut him out? Welcome him! Here, instead of writing off Apollos as a heretic for only knowing part of the gospel, Aquila and Priscilla welcome the glass half empty and help to fill it. Result: Apollos matures into a great evangelist. She sure does. Which makes her pretty much like most Catholics. But she also seems to sincerely seek Christ in the Eucharist and to ask for his help and the help of the Blessed Mother in the Rosary. There’s a real bridge of trust there that she appears to be willing to cross, Why not help her instead of burning it? She sure does. And do you think that will change by spitting in her face when she prays the Rosary and seeks the love of God in her suffering? Do you think contempt from Catholics trying to show her the door will in any way help her grasp the teaching of the Faith as more believable than the post-modern ethos that is the only thing she has ever known? Merely barking at her that she is a damned pro-abort is not catechesis. Priscilla and Aquila might just as well have condemned and rejected Apollos as a Mandaean heretic (a sect–still around today–that venerates John the Baptist, not Jesus, as the Main Event). Sherry Weddell, in her magnificent book Forming Intentional Disciples, talks about the fact that people pass through five thresholds–trust, curiosity, openness, seeking, and intentional discipleship–on their way to becoming full-fledged disciples and apostles of Jesus Christ. This includes born and bred Catholics, many of whom struggle with mere trust, much less actual mature faith in Jesus. Her point, in part, is that it is useless to expect the actions of a disciple and apostle from somebody who has barely had an encounter with the Faith and who does not see the faith as a relationship of discipleship to Jesus Christ in the heart of His Church. Demanding of Lady Gaga–or, if comes to it, Apollos–the acts of an apostle when only the most tenuous connection has never been made between Jesus Christ and the teaching of his Church in their mind is demanding the impossible. Relatedly, reacting with contempt to the small and tentative act of faith from a fledgling reaching out to Christ–sending her away because “she was not following us”, spitting on her sincere Rosary–is precisely what Jesus warns against when he tells us “Whoever causes one of these little ones who believe in me to sin, it would be better for him if a great millstone were hung round his neck and he were thrown into the sea” (Mk 9:42). Lady Gaga is a Bad Catholic. So, for the matter of that, was St. Peter when he provoked Jesus to call him “Satan”. So are you. So am I. But Jesus did not send Peter or any of us away in disgust. As long as Peter was willing to stay–heck, as long as Judas was willing to stay–Jesus was willing to let them, and to let us. There are a whole lot of Lady Gaga’s in this world: people who fail to measure up to the requirements of sanctity. One of them may be you and one of them is most certainly me. The Church has many extraordinary saints, but it has vastly more slobs, mediocrities, and sinners just barely starting a journey toward Jesus that they barely understand and cannot foresee. Since when did God tell any of us, “Make it as hard as possible for them to feel welcome and do your best to drive them away”? 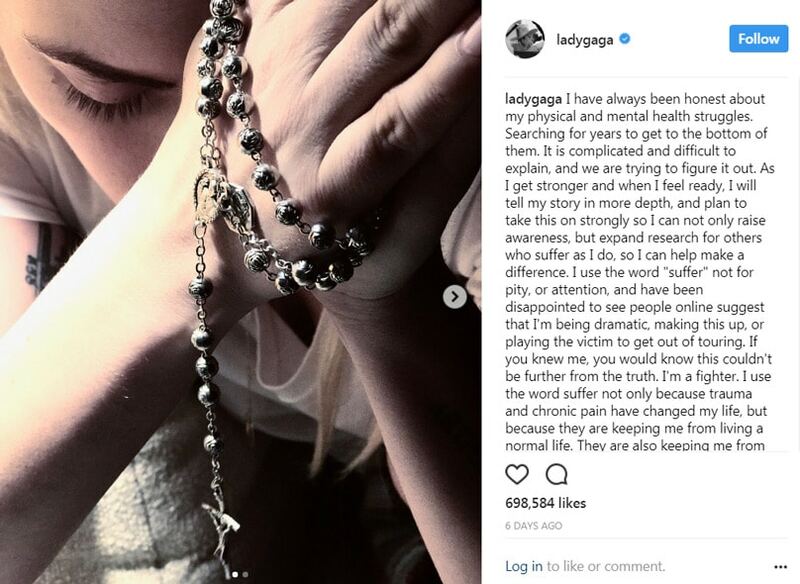 If Lady Gaga is willing to do the definitely uncool thing of praying the Rosary and even willing to say she does so to the world, I regard that as a win, not a loss. Does she have a long road ahead to be fully conformed to Christ? Yes, nearly as long as mine. God grant she receive the grace, help, and welcome I have received from holy Church and God forbid that, on That Day, Christ says to any of us, “You wicked servant! I forgave you all that debt because you pleaded with me; and should not you have had mercy on your fellow servant, as I had mercy on you?” (Mt 18:32–33).